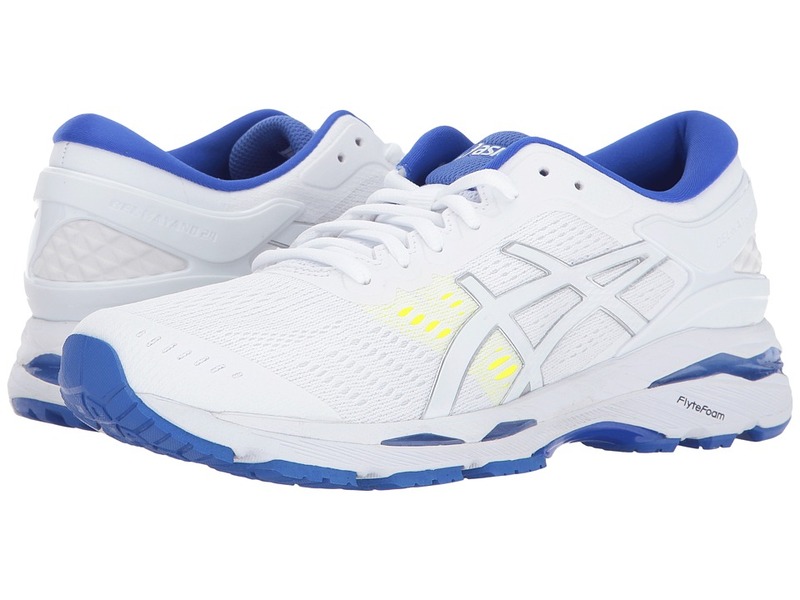 With an improved and adaptive fit, the GEL-Kayano 24 is here to help you reach a new personal record. Predecessor: Gel-Kayano 23. Support Type: Overpronation/Stability. Cushioning: High energizing cushioning. Surface: Road. Differential: 10 mm. FluidFit upper technology combines multi-directional stretch mesh with stretch synthetic reinforcements that adapt to the foot for a glove-like fit. Lace-up closure. Plush tongue and collar. Breathable fabric lining. ComforDry X-40 sockliner offers antimicrobial and moisture-management properties for a drier, healthier environment. I.G.S employs linked componentry to enhance the foot~s natural gait from heel strike through toe-off. FluidRide midsole piece provides the ultimate combination of bounce back, cushioning, and lasting durability at a reduced weight. Rearfoot and forefoot GEL cushioning systems attenuate impacting shock and allow for a smooth transition to midstance. Dynamic DuoMax Support System boosts stability and supports without the added weight. 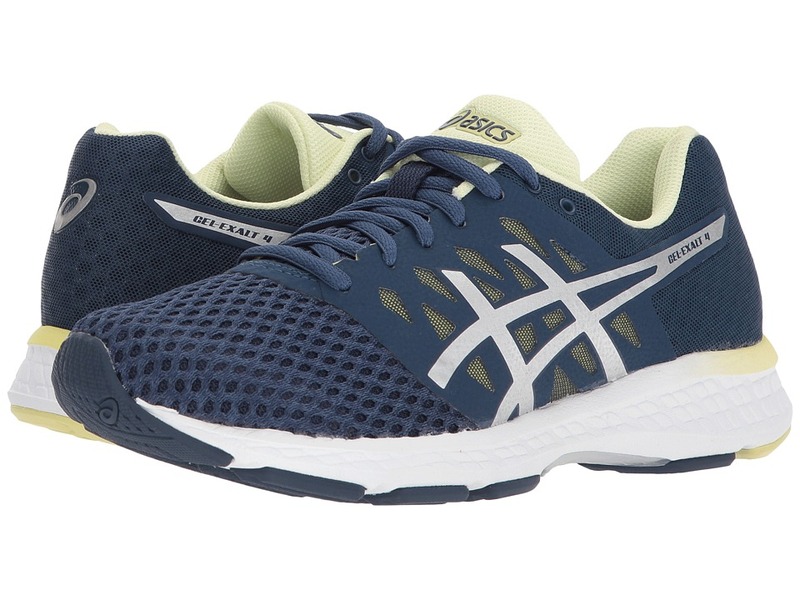 Combination of GEL and FlyteFoam technologies promotes a lighter weight and build. Heel/ Toe: 22 mm/12 mm. AHAR rubber outsole material is strategically placed in high-wear areas. Guidance Line vertical flex groove decouples the tooling along the line of progression for a smoother ride. Guidance Trusstic System integrates Guidance Line construction to enhance gait efficiency and promote mid-foot structural integrity. SpEVA 45 lasting. Imported. Measurements: Weight: 10 oz Product measurements were taken using size 8, width B - Medium. Please note that measurements may vary by size. Weight of footwear is based on a single item, not a pair. 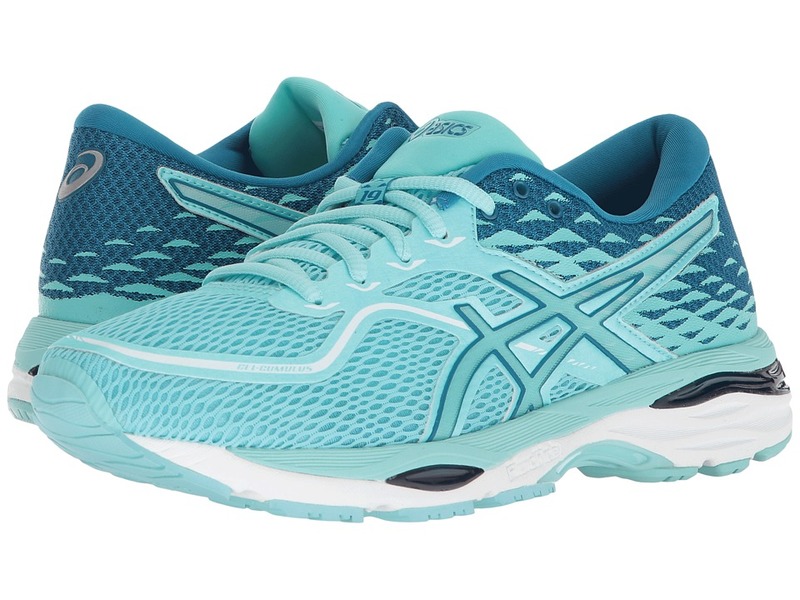 Shine through those low-light runs in the brilliance of the ASICS GEL-Kayano 24 Lite-Show! 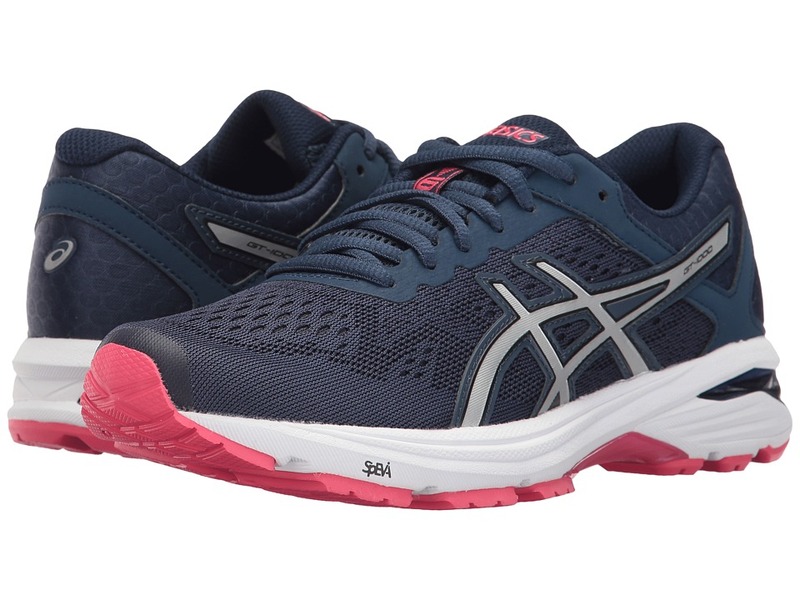 Predecessor: Gel-Kayano 23 Lite-Show. Support Type: Overpronation/Stability. Cushioning: High energizing cushioning. Surface: Road. Differential: 10 mm. Reflective upper boosts visibility in low-lighting conditions. FluidFit upper technology combines multi-directional stretch mesh with stretch synthetic reinforcements that adapt to the foot for a glove-like fit. Lace-up closure. Plush tongue and collar. Breathable fabric lining. ComforDry X-40 sockliner offers antimicrobial and moisture-management properties for a drier, healthier environment. I.G.S employs linked componentry to enhance the foot~s natural gait from heel strike through toe-off. FluidRide midsole piece provides the ultimate combination of bounce back, cushioning, and lasting durability at a reduced weight. Rearfoot and forefoot GEL cushioning systems attenuate impacting shock and allow for a smooth transition to midstance. Dynamic DuoMax Support System boosts stability and supports without the added weight. 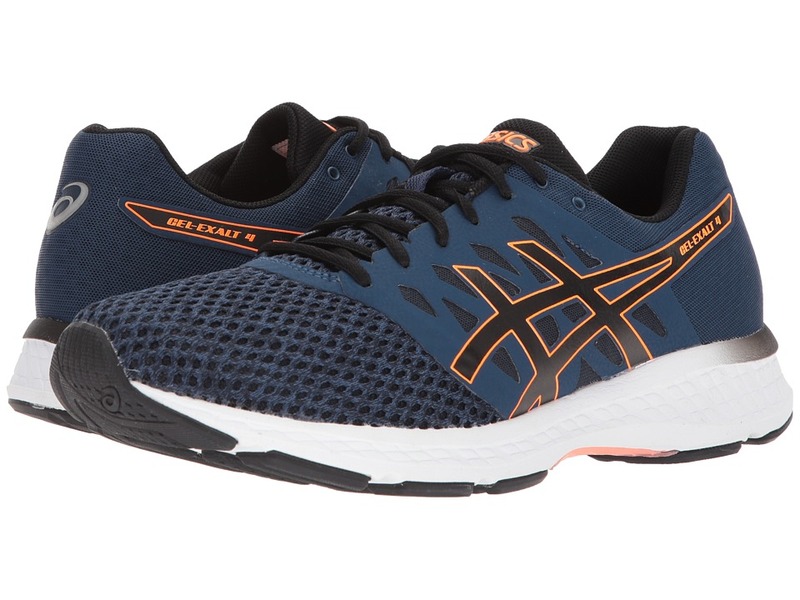 Combination of GEL and FlyteFoam technologies promotes a lighter weight and build. Heel/ Toe: 22 mm/12 mm. AHAR rubber outsole material is strategically placed in high-wear areas. Guidance Line vertical flex groove decouples the tooling along the line of progression for a smoother ride. Guidance Trusstic System integrates Guidance Line construction to enhance gait efficiency and promote mid-foot structural integrity. SpEVA 45 lasting. Imported. Measurements: Weight: 10 oz Product measurements were taken using size 8.5, width B - Medium. Please note that measurements may vary by size. Weight of footwear is based on a single item, not a pair. Push yourself to new limits with the GT-1000 6 running shoe! Successor: GT-1000 5. Support Type: Overpronation/Stability. Cushioning: High energizing cushioning. Surface: Road. Differential: 10 mm. Engineered mesh upper with supportive synthetic overlays. Lace-up closure. Plush tongue and collar. Breathable fabric lining offers a great in-shoe feel. Removable ComforDry foam insole. I.G.S employs linked componentry to boost the foot~s natural gait from heel strike through toe-off. Rearfoot and Forefoot Gel systems work together to reduce impacting shock and allow movement in multiple planes from heel strike through toe-off. SpEVA midsole material maximizes energy return while reducing midsole breakdown. Dual-density DuoMax Support System midsole is positioned specifically for running to augment support and stability. Heel/Toe: 22 mm/12 mm. Durable AHAR rubber outsole delivers reliable grip and traction. Guidance Trusstic System integrates Guidance Line construction to increase gait efficiency, while promoting mid-foot structural integrity. Guidance Line technology employs a vertical flex groove that decouples the tooling along the line of progression for maximum stride efficiency. Imported. Measurements: Weight: 13 oz Product measurements were taken using size 12, width D - Medium. Please note that measurements may vary by size. Weight of footwear is based on a single item, not a pair. Go the distance with all the support you need in the GT-1000 6. Successor: GT-1000 5. Support Type: Overpronation/Stability. Cushioning: High energizing cushioning. Surface: Road. Differential: 10 mm. Engineered mesh upper with supportive synthetic overlays. Lace-up closure. Plush tongue and collar. Breathable fabric lining offers a great in-shoe feel. Removable ComforDry foam insole. I.G.S employs linked componentry to boost the foot~s natural gait from heel strike through toe-off. Rearfoot and Forefoot Gel systems work together to reduce impacting shock and allow movement in multiple planes from heel strike through toe-off. SpEVA midsole material maximizes energy return while reducing midsole breakdown. Dual-density DuoMax Support System midsole is positioned specifically for running to augment support and stability. Heel/Toe: 22 mm/12 mm. Durable AHAR rubber outsole delivers reliable grip and traction. Guidance Trusstic System integrates Guidance Line construction to increase gait efficiency, while promoting mid-foot structural integrity. Guidance Line technology employs a vertical flex groove that decouples the tooling along the line of progression for maximum stride efficiency. Imported. Measurements: Weight: 9 oz Product measurements were taken using size 8.5, width B - Medium. Please note that measurements may vary by size. Weight of footwear is based on a single item, not a pair. 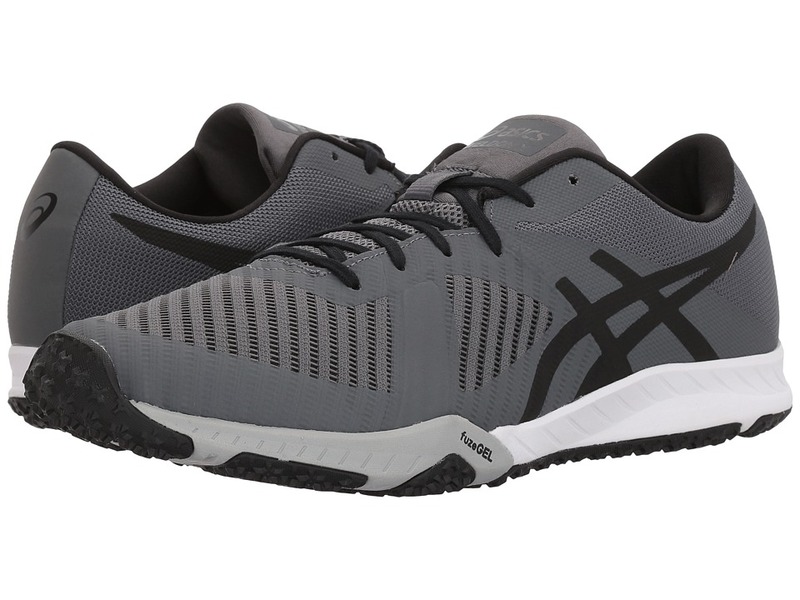 Strap into the ASICS GEL-Exalt 4 for unparalleled comfort and performance. Predecessor: GEL-Exalt 3. Support Type: Overpronation/Stability. Cushioning: High energizing cushioning. Surface: Road. Differential: 10 mm. Breathable mesh upper with supportive synthetic overlays. Lace-up closure. Plush tongue and collar. Breathable fabric lining offers a great in-shoe feel. Ortholite footbed offers breathable and antimicrobial cushioning. Rearfoot GEL cushioning system attenuates impacting shock and allows for a smooth transition to midstance. SpEVA midsole material maximizes energy return while reducing midsole breakdown. DuoMax Support System is a dual-density midsole that is positioned for optimal support and stability. Heel/Toe: 22 mm/12 mm. AHAR rubber outsole delivers long-lasting durability. Trusstic System technology reduces the overall weight of the shoe without compromising structural integrity. Imported. Measurements: Weight: 13 oz Product measurements were taken using size 12, width D - Medium. Please note that measurements may vary by size. Weight of footwear is based on a single item, not a pair. 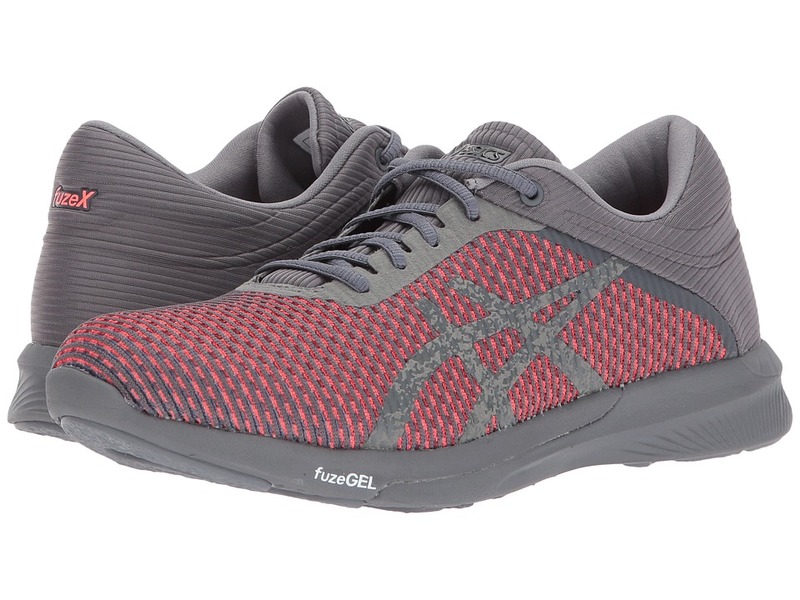 Take your road training to the next level with the GEL-Exalt 4 running shoe. Predecessor: GEL-Exalt 3. Support Type: Overpronation/Stability. Cushioning: High energizing cushioning. Surface: Road. Differential: 10 mm. 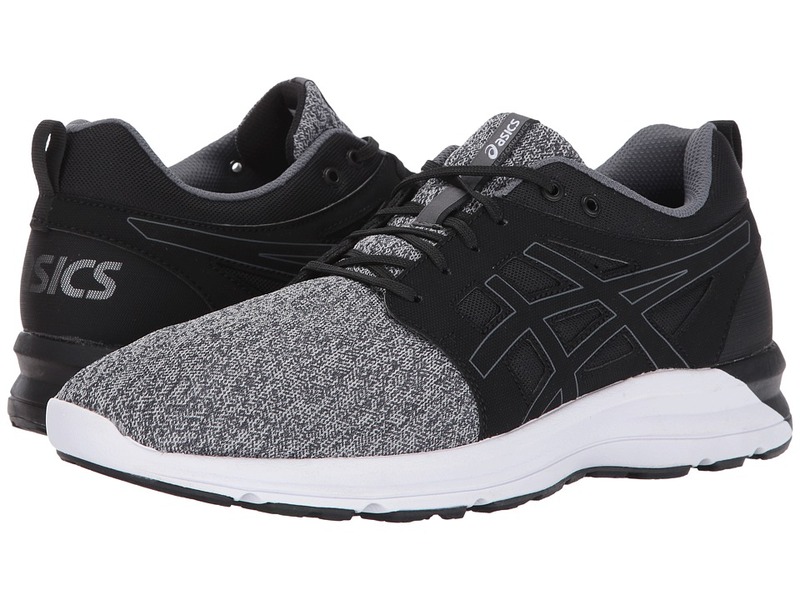 Breathable knit upper with supportive synthetic overlays. Lace-up closure. Plush tongue and collar. Breathable fabric lining offers a great in-shoe feel. Removable foam insole. 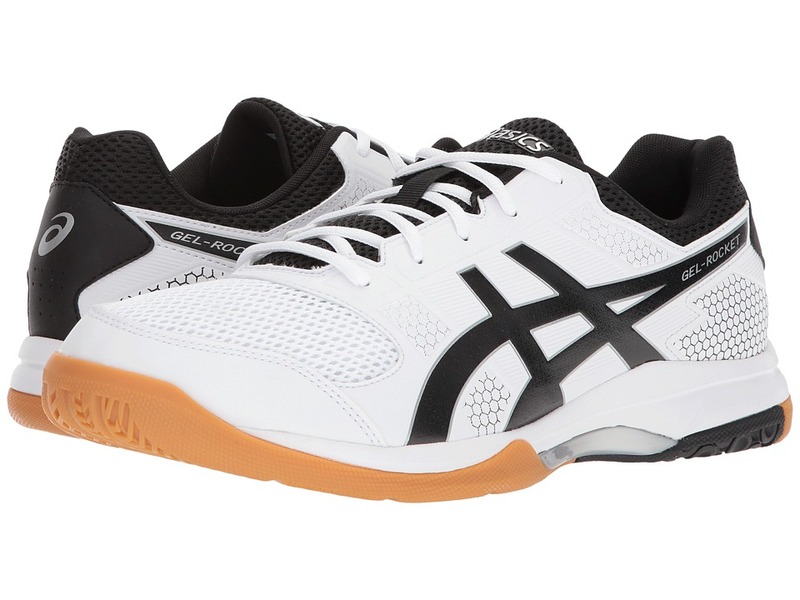 Rearfoot GEL cushioning system attenuates impacting shock and allows for a smooth transition to midstance. SpEVA midsole material maximizes energy return while reducing midsole breakdown. DuoMax Support System is a dual-density midsole that is positioned for optimal support and stability. Heel/Toe: 22 mm/12 mm. AHAR rubber outsole delivers long-lasting durability. Trusstic System technology reduces the overall weight of the shoe without compromising structural integrity. Imported. Measurements: Weight: 9 oz Product measurements were taken using size 8.5, width B - Medium. Please note that measurements may vary by size. Weight of footwear is based on a single item, not a pair. You deserve a training shoe that can keep up and last longer than you. Get the support you need in the Weldon X. Seamless Flex Mesh uppers with synthetic overlays for reinforcement. Lightly cushioned tongue and collar. Easy lace-up closure. Breathable fabric lining offers a great in-shoe feel. 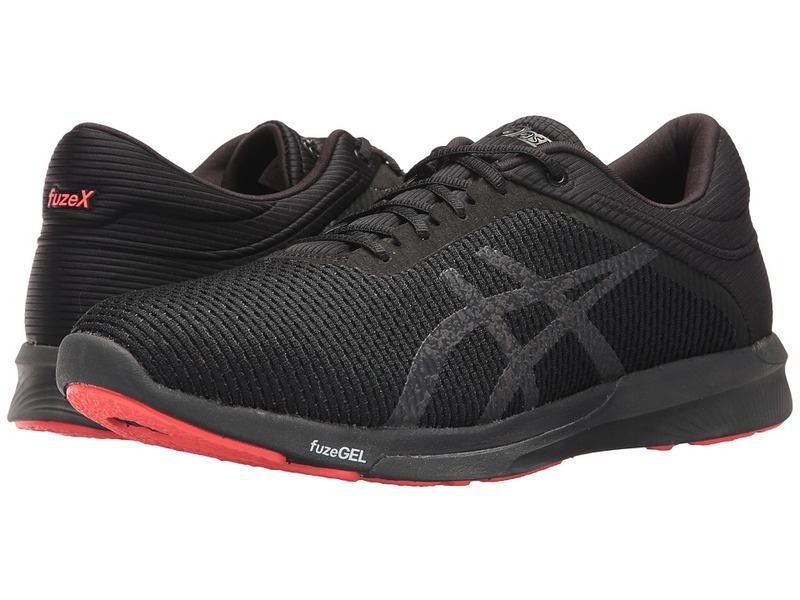 Features a rear and forefoot GEL Cushioning System that offers shock-absorbing support at toe-off and offers superior movement and support through the gait cycle. Solyte midsole delivers featherweight cushioning and long-lasting durability. FuzeGEL midsole provides responsive cushioning and impact protection. 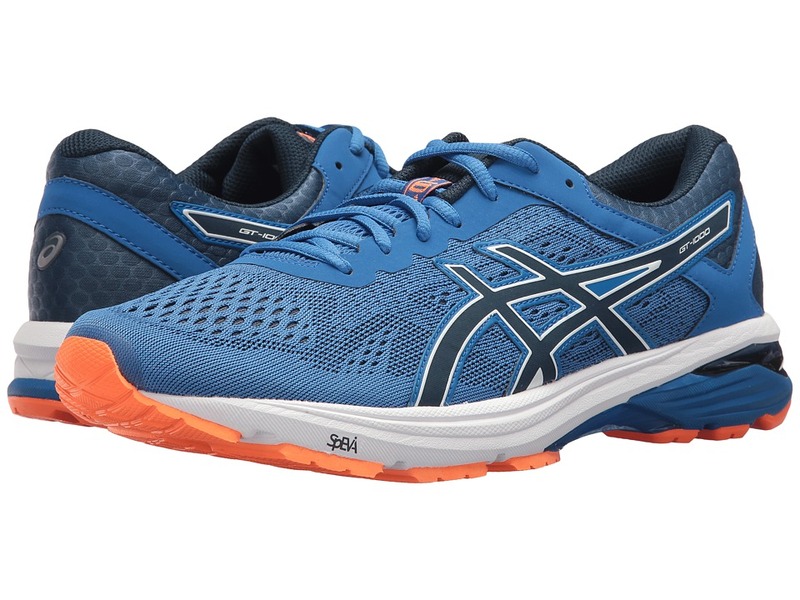 Features an AHAR PLUS outsole that is 50 percent more durable than the standard ASICS High Abrasion Rubber. Imported. Measurements: Weight: 8 oz Product measurements were taken using size 11, width D - Medium. Please note that measurements may vary by size. Weight of footwear is based on a single item, not a pair. 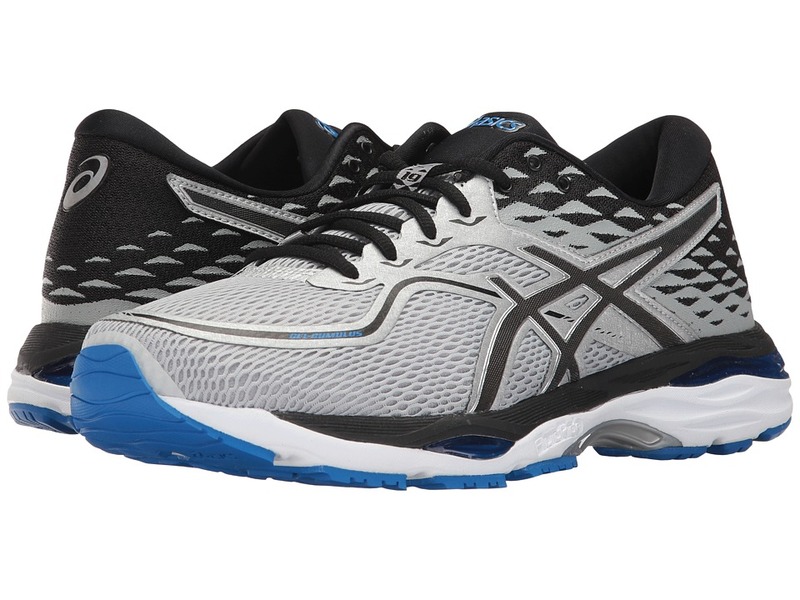 Stick with a proven design in the GEL-Cumulus 19 running shoe! Successor to the Gel-Cumulus 18. Support Type: Neutral. Cushioning: High energizing cushioning. Surface: Road. Differential: 10 mm. Breathable mesh and synthetic upper materials. Seamless upper construction reduces the likelihood of friction-related irritation. Lace-up closure. Discrete eyelets disburse lace tension for optimal comfort. Padded tongue and collar. Soft textile lining. Removable ComforDry sockliner features anti-odor properties for a cooler, drier in-shoe feel. FluidRide midsole provides just the right balance of bounce back, cushioning, and lasting wear in a lightweight package. I.G.S employs linked componentry to enhance the foot~s natural gait from heel strike through toe-off. Rearfoot and Forefoot GEL systems work together to reduce impacting shock and allow movement in multiple planes from heel strike through toe-off. Heel/Toe: 23 mm/13 mm. DURASPONGE rubber outsole for greater cushioning and durability in the forefoot. Guidance Trusstic System integrates Guidance Line for heightened stride efficiency that doesn~t interfere with mid-foot structural integrity. Guidance Line vertical flex groove decouples the tooling along the line of progression for a smoother ride. Imported. Measurements: Weight: 13 oz Product measurements were taken using size 12, width D - Medium. Please note that measurements may vary by size. Weight of footwear is based on a single item, not a pair. 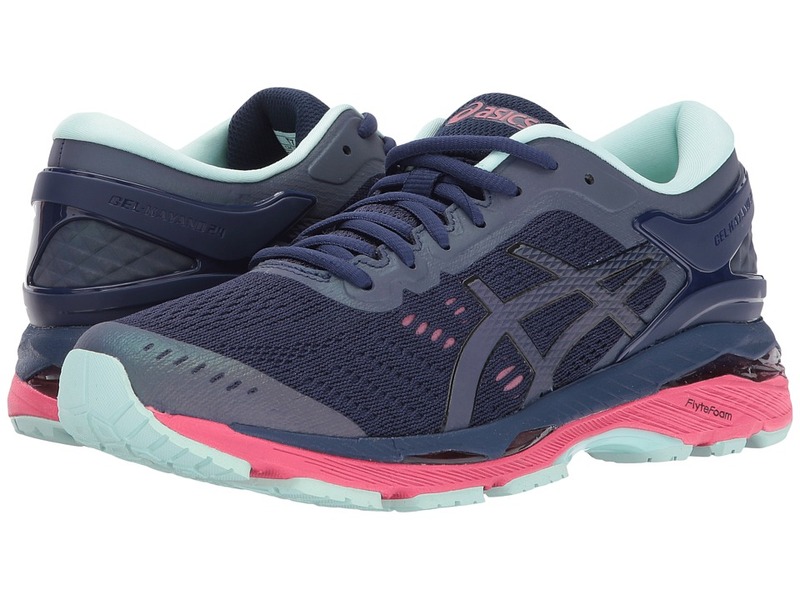 Stick with a proven style in the GEL-Cumulus 19 running shoe! Successor to the Gel-Cumulus 18. Support Type: Neutral. Cushioning: High energizing cushioning. Surface: Road. Differential: 10 mm. Breathable mesh and synthetic upper materials. Seamless upper construction reduces the likelihood of friction-related irritation. Lace-up closure. Discrete eyelets disburse lace tension for optimal comfort. Padded tongue and collar. Soft textile lining. Removable ComforDry sockliner features anti-odor properties for a cooler, drier in-shoe feel. FluidRide midsole provides just the right balance of bounce back, cushioning, and lasting wear in a lightweight package. I.G.S employs linked componentry to enhance the foot~s natural gait from heel strike through toe-off. Rearfoot and Forefoot GEL systems work together to reduce impacting shock and allow movement in multiple planes from heel strike through toe-off. Heel/Toe: 23 mm/13 mm. DURASPONGE rubber outsole for greater cushioning and durability in the forefoot. Guidance Trusstic System integrates Guidance Line for heightened stride efficiency that doesn~t interfere with mid-foot structural integrity. Guidance Line vertical flex groove decouples the tooling along the line of progression for a smoother ride. Imported. Measurements: Weight: 10 oz Product measurements were taken using size 8.5, width B - Medium. Please note that measurements may vary by size. Weight of footwear is based on a single item, not a pair. Whatever workout you~re feelin~ today, the Gel-195 TR cross-trainer has you covered! Breathable mesh and synthetic uppers. Plush tongue and collar for ankle support. Traditional lace-up closure for secure and adjustable fit. Breathable mesh linings. Rearfoot forefoot GEL cushioning systems work together to better attenuate impacting shock and allow the foot to move fluidly throughout the gait cycle. Dynamic DuoMax System increases stability with a reduced weight and dual-density midsole support. SpEVA Foam midsole material maximizes energy return while reducing midsole breakdown. Guidance Trusstic System supplies enhanced gait efficiency without compromising mid-foot structural integrity. Durable rubber outsole with great traction. Imported. Measurements: Weight: 13 oz Product measurements were taken using size 12, width 4E - Extra Wide. Please note that measurements may vary by size. Weight of footwear is based on a single item, not a pair. 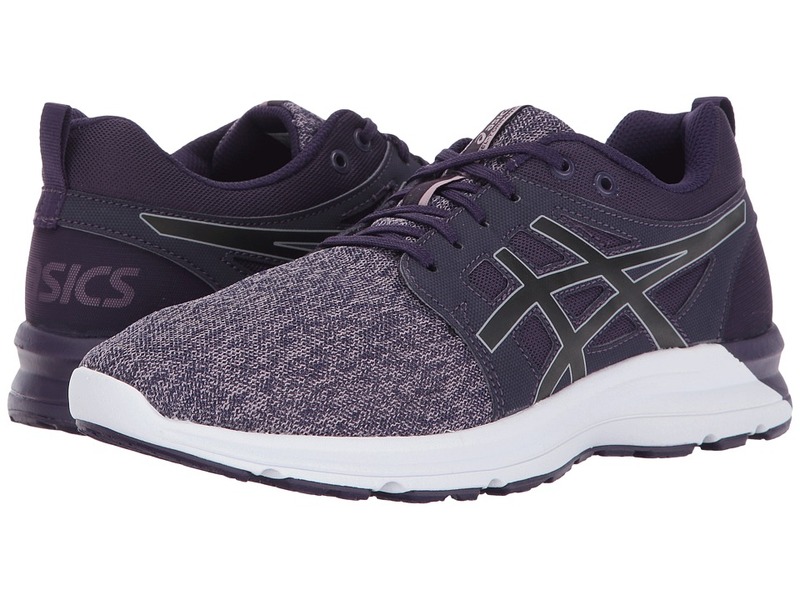 Everyday style and comfort are as easy as lacing into the ASICS Torrance running-inspired sneaker. Breathable textile and synthetic upper materials. Lace-up closure. Pull loop at the heel. Lightly padded tongue and collar. Breathable fabric lining offers a great in-shoe feel. Molded textile insole. Lightweight foam midsole. Rubber outsole. Imported. Measurements: Weight: 10.6 oz Product measurements were taken using size 11, width D - Medium. Please note that measurements may vary by size. Weight of footwear is based on a single item, not a pair. Find your perfect stride with a little help from the Nitrofuze 2. Predecessor: Nitrofuze. Support Type: Neutral to underpronation (supination). Cushioning: Lightweight, flexible response. Surface: Road. Differential: 8 mm. Open mesh and synthetic upper materials. Seamless upper construction helps reduce the likelihood of irritation. Lace-up closure. Lightly padded tongue and collar. Breathable fabric lining offers a great in-shoe feel. ComforDry sockliner. fuzeGEL midsole fuses GEL and foam technologies for exceptional rearfoot shock absorption that transfers to the forefoot during takeoff. Heel/Toe: 19 mm/11 mm. AHAR rubber outsole delivers long-lasting durability. ComforDry lasting. Imported. Measurements: Weight: 8 oz Product measurements were taken using size 8.5, width B - Medium. Please note that measurements may vary by size. Weight of footwear is based on a single item, not a pair. 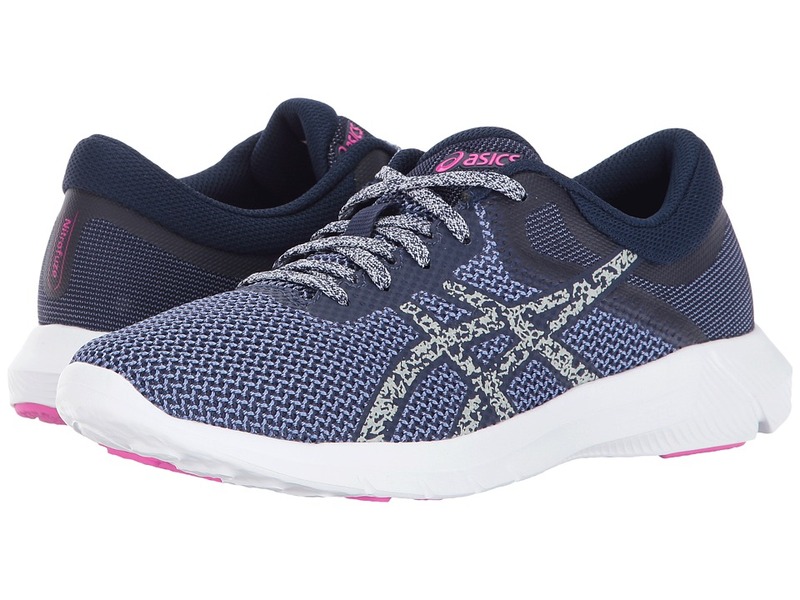 Everyday style and comfort are as easy as lacing into the ASICS Torrance running-inspired sneaker. Breathable textile and synthetic upper materials. Lace-up closure. Pull loop at the heel. Lightly padded tongue and collar. Breathable fabric lining offers a great in-shoe feel. Molded textile insole. Lightweight foam midsole. Rubber outsole. Imported. Measurements: Weight: 7.6 oz Product measurements were taken using size 7.5, width B - Medium. Please note that measurements may vary by size. Weight of footwear is based on a single item, not a pair. Give yourself an edge when you lace up the GEL-Venture 6 running shoe! Predecessor: GEL-Venture 5. Support Type: Neutral to underpronation (supination). Cushioning: Lightweight, flexible response. Surface: Trail. Differential: Not provided. Durable mesh and synthetic upper materials. Plush tongue and collar. Breathable fabric lining offers a great in-shoe feel. Removable foam insole. Rearfoot GEL cushioning system absorbs impacting shock and promotes a smoother transition to midstance. Trail-specific outsole features reversed lugs for optimal uphill and downhill traction on varied terrain. Highly durable AHAR rubber outsole. Imported. Measurements: Weight: 14 oz Product measurements were taken using size 11.5, width 4E - Extra Wide. Please note that measurements may vary by size. Weight of footwear is based on a single item, not a pair. Get your heartbeat rising in lightweight and durable Gel-Rocket 8! 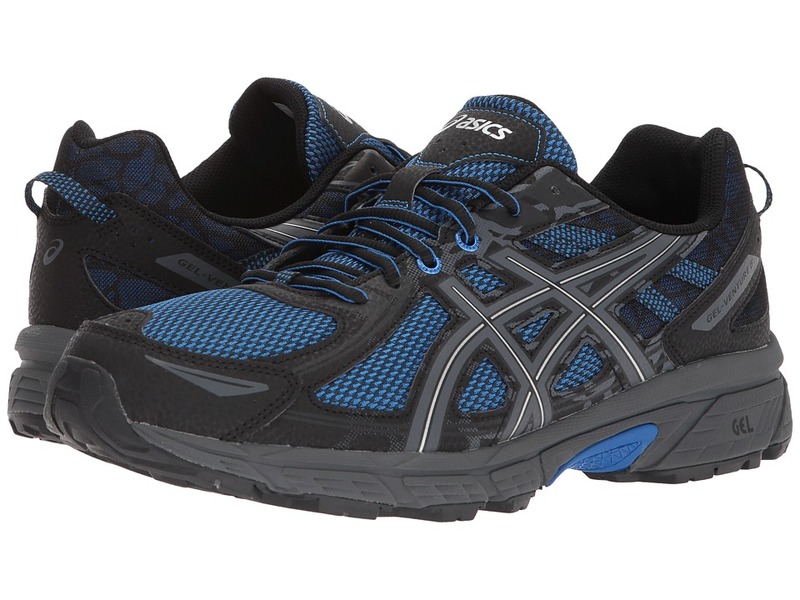 Lightweight mesh upper with synthetic overlays provide structured support and comfort. Foam-padded collar and tongue. Breathable mesh lining and a cushioned footbed provide added cushioning. Traditional lacing closure for optimal fit. Molded-EVA midsole provide enhanced cushioning and shock absorption. 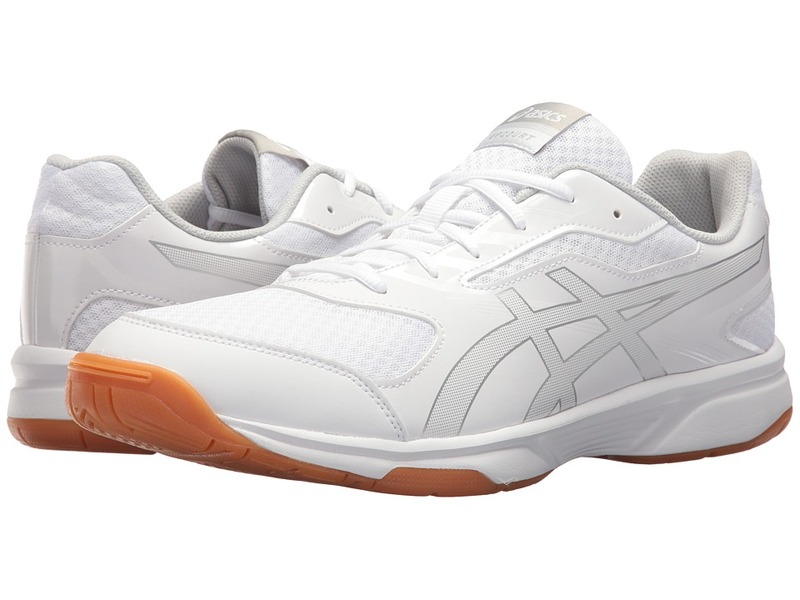 Features a rear and forefoot GEL Cushioning System that offers shock-absorbing support at toe-off and offers superior movement and support through the gait cycle. Designed with Trusstic System Technology that reduces the weight without compromising the structural integrity of the shoe. Rubber and gum rubber outsole containing more natural rubber content than traditional solid rubber for enhanced traction on court systems. Imported. Measurements: Weight: 1 lb 1 oz Product measurements were taken using size 15, width D - Medium. Please note that measurements may vary by size. Weight of footwear is based on a single item, not a pair. Bump! Set! Spike! Do it all in comfort and style with the Gel-Upcourt 2! 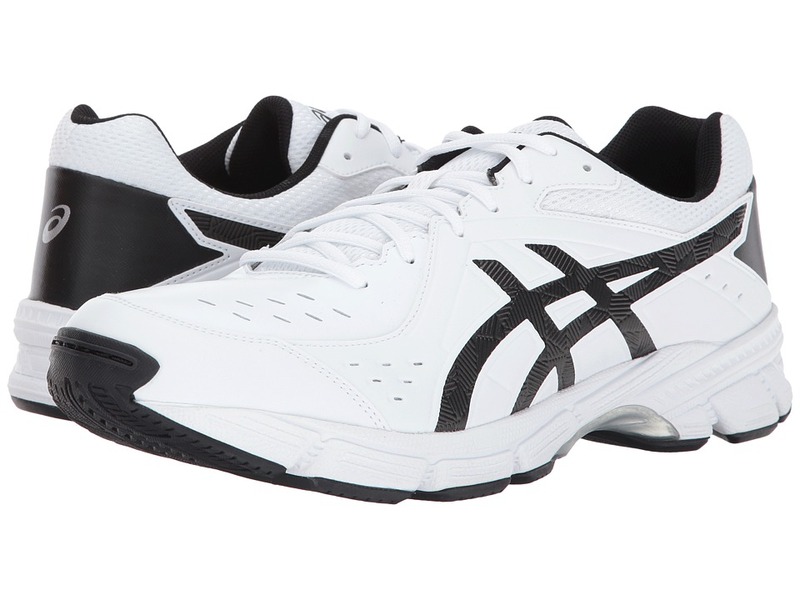 Synthetic leather and mesh uppers provides breathability and comfort. Padded collar and tongue provide a comfy internal fit. Mesh lining and a cushioned sockliner provides ample performance comfort. Traditional lace-up closure for secure fit. Rearfoot GEL Cushioning System attenuates shock during impact and allows for a smooth transition. Non-marking, gum rubber outsole for exceptional grip. Imported. Measurements: Weight: 12 oz Product measurements were taken using size 12, width D - Medium. Please note that measurements may vary by size. Weight of footwear is based on a single item, not a pair.